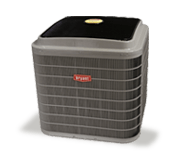 Legacy™ fan coils are an affordable addition to cooling and heating systems. These dependable products can help improve indoor air quality and reduce energy costs, year-round. Environmentally sound Puron® refrigerant helps improve outdoor air quality, too.